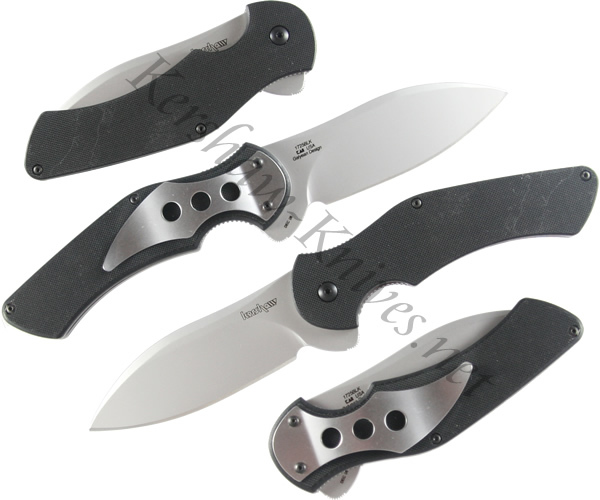 The Kershaw Junkyard Dog II G-10 knife model 1725BLK is proudly made in the USA with a 410 stainless steel handle overlaid with G10 scales. The drop point, straight edge blade is Sandvik 13C26 stainless chromium steel with a bead blasted finish. An integrated index finger opening system works for right or left handed users. A removable pocket clip is standard on the Junkyard Dog II.